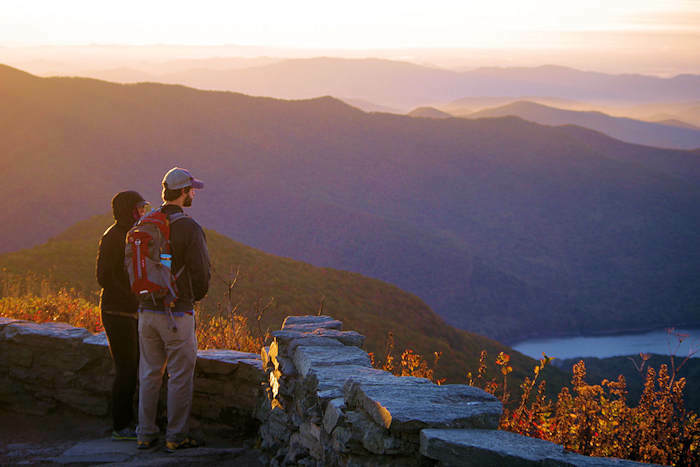 Ready to explore the great outdoors of western North Carolina mountains near Asheville? The breathtaking scenery of the Blue Ridge Mountains surrounds the city in all directions, with one million acres of protected forest and park land. There are so many places to go and things to do outside, including hiking the many trails and discovering beautiful waterfalls. Use the detailed guide for each of these, with plenty of photos and details so you can plan your vacation. Also, see our Top 300 Things to Do for many more ideas for indoors fun. Pic above: Hawksbill Mtn. Daytime admission to Biltmore not only gets you access to America’s largest home, but also the opportunity to explore the estate’s 8,000 acres of Blue Ridge Mountain beauty. Discover Biltmore’s rustic side with an array of outdoor adventures like biking, hiking, Segway tours, horseback riding, fly fishing, sporting clays and more. Take an exciting zipline tour in the Great Smoky Mountains. The 3-hour zip line flight is powered by gravity and a gradual 3 percent elevation change. The 1/2 mile air time canopy tour takes you through multiple ecosystems. Enjoy the many outdoor street festivals, art fairs and other events. Most are free, and you can find one about every weekend during the Spring, Summer and Fall in Asheville and the surrounding mountain towns. See our Top Spring Festivals, Top Summer Festivals, Top Fall Events and Art Events. 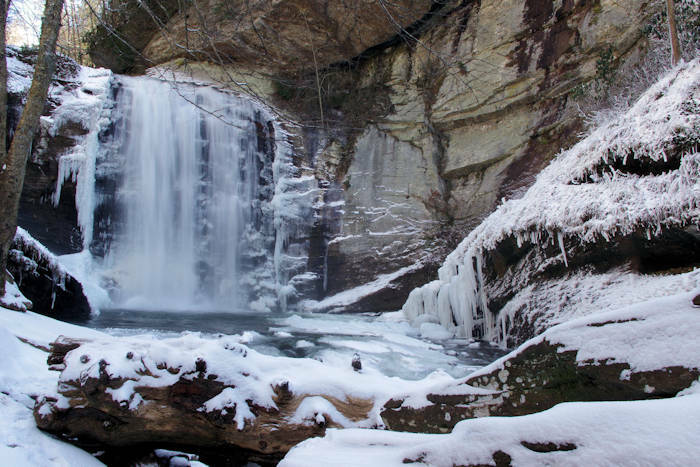 The largest national forest in North Carolina (531,286 acres), Nantahala covers much of the western tip of the state. 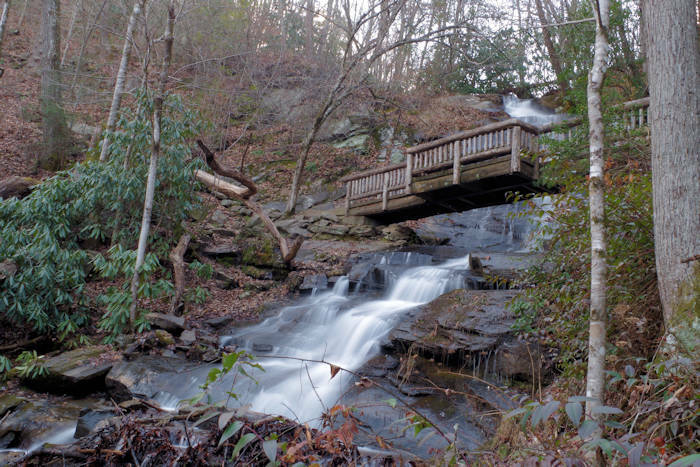 Find a wealth of outdoor activities and plenty of scenic views, hiking trails and waterfalls. This 10-acre garden near the University of North Carolina in Asheville features Southern Appalachian plants, and includes peaceful hiking trails in the middle of the city. With our great diversity of terrain, climates and plantlife, birds of many varieties love our mountains and many state and national parks with protected land. See our favorite birding locations near Asheville. Enjoy the many things to do outdoors in the Blue Ridge Mountains and Great Smoky Mountains in North Carolina near Asheville. To help you plan the best trip, see our Waterfalls & Hiking Safety Tips. While bear sightings are rare, see our Bear Safety Tips. Please remember to Leave No Trace.